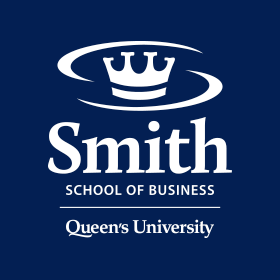 October 20, 2014 – FEI Canada, the country’s leading association for CFOs, has partnered with Queen’s School of Business to develop a unique program for senior financial executives that combines best-in-class curriculum with the real life experiences of seasoned CFOs. This CFO Leadership Beyond Finance Program will equip senior financial executives with the insights they need to become more effective leaders and better strategic advisors to their CEOs and Boards of Directors. The program partners top-tier university faculty with industry subject matter experts and executives-in-residence. FEI Canada’s professional support system helps financial executives and their companies to navigate through a sea of uncertainty. Amongst a spectrum of services provided, FEI Canada has undertaken research that has identified knowledge gaps between the competencies of today’s CFOs and what they must know to excel at their evolved role. This executive education program will ensure senior financial executives bridge these gaps by focusing on three strong themes: Leadership, Strategy and Leading Change, and Strategic Execution. RICHARD BIRD, EVP, Corporate Development & CFO - Enbridge Inc.
LAURIE TUGMAN, Executive Chairman - Nexterra System, and former CEO/CFO - Marsulex Inc.
BRUCE WATERMAN, Corporate Director, Former CFO - Agrium Inc.
FINANCIAL EXECUTIVES INTERNATIONAL CANADA (FEI CANADA) is the all industry professional membership association for senior financial executives. With eleven chapters across Canada and 1,600 members, FEI Canada provides professional development, thought leadership and advocacy services to its members. The association membership, which consists of Chief Financial Officers, Audit Committee Directors and senior executives in the Finance, Controller, Treasury and Taxation functions, represents a significant number of Canada’s leading and most influential corporations. Further information can be found at www.feicanada.org. Follow us on Twitter @FEICanada.